Middle-earth: Shadow of War came out on October 10, 2017. Two hundred eighty days later, it is now free of all microtransactions. It’s a drastic change and yet another sign that 2017 was a turning point for the video game industry’s brief obsession with loot boxes. 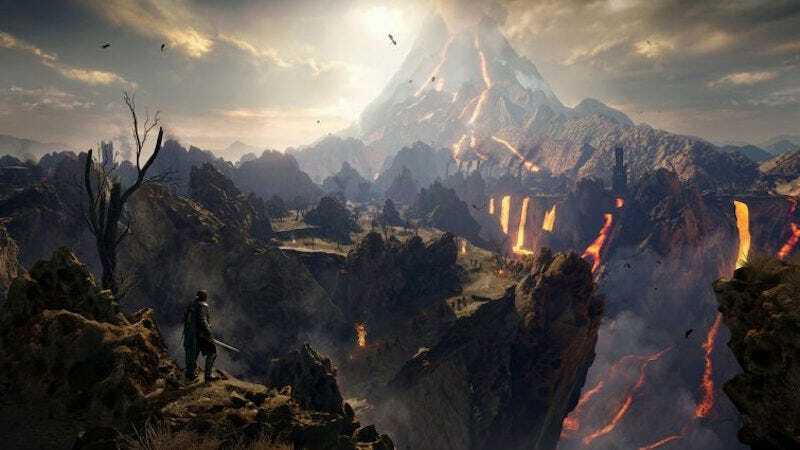 Today, Warner Bros. patched Shadow of War to remove the game’s paid currency, putting an end to a confusing microtransaction system that had been in place since the game launched. No longer can you spend money on premium currency or on loot boxes that give you a random shot at premium gear. No longer can you buy orcs in the game’s digital marketplace. If you purchased gold in Shadow of War, it will be converted to one-time-use gold loot chests that can give you gear. This unprecedented move comes nearly a year after Shadow of War became one pressure point of a long and angry debate over additional payments in video games, alongside the controversial Star Wars Battlefront II, which triggered so much ire that publisher EA pulled all of its microtransactions the night before it launched. Shortly afterward, EA made a big pivot. If 2017 was the year of loot boxes, then 2018 is its exact opposite, as the mega-publisher declared that neither of its big upcoming shooters, Battlefield V or Anthem, will have any form of randomly generated microtransactions. Of course, that was the same argument fans made before Shadow of War came out—the same argument people have been making for as long as microtransactions have existed. So what changed? What made Monolith and Warner Bros. decide to remove premium currency nearly a year after launch? Was it fan anger? Legal threats? Or something else entirely? Like most game publishers, Warner Bros. does not share its sales data, but there are a couple of clues out there. One is that in October 2017, Shadow of War was the top seller on NPD, beating out Assassin’s Creed Origins among other games. In November, Shadow of War fell to 12. The other clue is that according to recently leaked Steam data, Shadow of War has sold roughly 952,284 copies on PC, less than Origins (1,030,581) and significantly less than Shadow of Mordor (4,468,234). By pulling all of the loot boxes from Shadow of War, Warner Bros. is sending a strong signal. That’s not to say that Warner Bros. is giving up on microtransactions—quite the opposite, in fact. Like every other big publisher in the games business, Warner Bros. is doubling down on “games as a service” in hopes of generating as much revenue as possible without charging more than $60 for its big-budget games. In the future, those games will just be a lot more subtle about it.